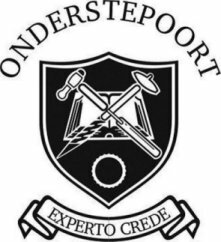 Just to clarify matters concerning the word Onderstepoort: The place name ‘Onderstepoort’ is often used to describe any place where veterinary skills are involved in the Onderstepoort area. There are, however, three distinct entities across the road from each other, each with distinctly differing goals and achievements. They are: The Faculty of Veterinary Science of the University of Pretoria; The Agricultural Research Council Onderstepoort Veterinary Institute (ARC-OVI) and its Exotic Diseases Division (EDD); and Onderstepoort Biological Products (OBP). The Faculty of Veterinary Science of the University of Pretoria is the second oldest faculty in Africa, dating back to the early 1920’s, and the only one in South Africa. The theoretical and final year clinical training all occur on the same campus and the residences are also situated adjacent to the lecture halls. The faculty has five academic departments responsible for teaching, research and service rendering. These departments are supported by an academic hospital, various departmental laboratories, a teaching animal unit and a number of research centres. The Veterinary Academic Hospital provides state-of-the-art facilities for the clinical departments, such as laparoscopic surgery, CT scanning, echocardiography (heart scanning) and ICU with a ventilator. This hospital is the focus of the faculty’s service-rendering activities to its immediate community and also serves as a national referral facility. The faculty offers an undergraduate veterinary degree programme and a veterinary nursing diploma programme as well as a variety of postgraduate degree programmes. The faculty is world renown for the supervised practical experience the students get in the hospital and we rotate students from all over Europe through our clinics. Graduates of the faculty with the BVSC degree are recognised for registration by the Royal College of Veterinary Surgeons (RCVS) in the UK, the Australasian Veterinary Boards Council (AVBC) in Australia, New Zealand and Tasmania as well as by the relevant authorities in Malaysia. 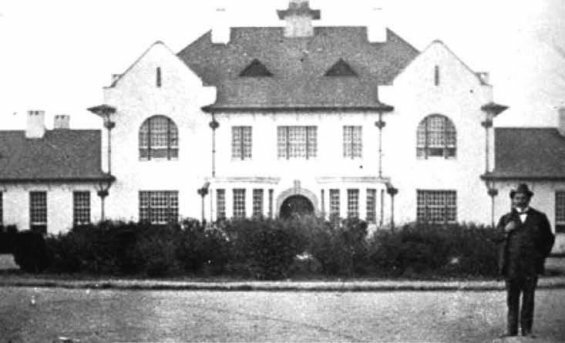 The Agricultural Research Council – Onderstepoort Veterinary Research Campus (ARC-OVR) was founded in 1908 by Sir Arnold Theiler. It is nationally and internationally recognized as a veterinary centre of excellence. The ARC-OVI is an important part of the Agricultural Research Council and plays an important role in maintaining the health of the national herd and wildlife. The mission of ARC-OVR is to provide scientific support for veterinary services in risk management for quality of life for all in South Africa. It does this by ensuring a healthy population of livestock for food production and security. Research activities focus on the development and improvement of vaccines and diagnostic tests. The OVR is an efficient diagnostic service and produces vaccines against foot and mouth and tick-borne diseases. The OVR also collaborates in surveillance and control of animal diseases with the Office International des Epizooties (OIE) surveillance and the Food and Agriculture Organisation (FAO) of the United Nations. The company Onderstepoort Biological Products (OBP) was established in 2000 and used to be part of the original Onderstepoort Veterinary Institute. This is the vaccine production and sales branch and has no diagnostic or surveillance mandate. Their goal is to provide sufficient vaccine against endemic bovine and ovine disease, amongst others brucellosis, anthrax, botulism, Rift Valley fever and tick-borne disease.